It is a week of exposure’s sign of Zodiac. People born in this week are blend of introvert and extrovert both. 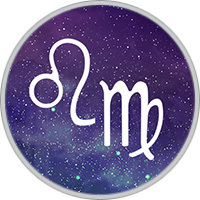 They combine practical, earthy qualities of Virgo with the intuition of Leos. They quietly work for productivity. They understand things in a very first expression. Though they can hide their personal qualities but it comes out automatically when they start climbing first step towards their action of work. First they have to struggle to stovrt climbing their first step of success. They are remarkable in their attempts. In fact their desire to indulge into things, to show can be fuels to their powerful drive. Those born in this week are often outstanding observers, and the best Judges of other characteristics. They know how to match silently and when to act upon that. Their co worker and associate will always depend on them and make them feel that they are the best observant. People coming under this cusp like mysteries and detective work. People who tries to take trouble to understand them can be richly rewarded. Though they don’t like flattery and don’t cry for understanding. Characteristically they have a long life in relationship. Those who can accept their weaknesses and continue liking them can only become their closest. There may well be a family member, cousin, wife, friend, associate or a partner. They can be jealous at times, but they are not really very flirtatious. They are creative and pay close attention to details. They show their love by doing things for their loved one. They are thoughtful and unique. This cusp is conflicted by Leo’s drama and Virgo’s lack of sociability. If they can pull themselves together for a cause they truly believe in, the strengths of both signs come together. They have to believe in what they are doing to let their passion show. They are self contented, deep observant and flamboyant but secretive non sharing and critical. Try to be more transparent, so people can see and judge you in real. Don’t blame the world, recognize yourself. Learn sharing.